This entry was posted in Globalization, Guest Post, Politics, Russia on July 4, 2017 by Yves Smith. Hell, if the DNI can do this for the Russians, imagine what we could do for America!!!! Trump veto, I suspect. For “Fake News” reasons. Doubt an over-ride. Let’s get this over with, and move onto common sense. American legislators are clueless as always, but the blob remains on the attack. It passed the Senate 98-2, I don’t know why you doubt an over ride. Do you think 32 Senators will change their mind or that it won’t get 2/3 of the House? The Bill effectively requires Europe to shoot themselves in the other foot or cease using USD for exchange in Russian trade. Europe’s problem will be Poland where fear and trembling of Russia finds its European root. The Polish Government would choose poverty before Russian trade and the country has worked assiduously to build connections and friendships in the EC and parliament. In fact Poland has been America’s ‘foot in the door’ in Europe and the first shipment of US fracked gas has already been received in that country. If America can quickly build the LNG carriers needed for the trade there may be a prospect of keeping US fracking alive whilst diminishing Russian trade but this is contrary to European interests at a time when the neocon influence in Washington is driving many former friends away. I read an article recently explaining the mechanics of how the US could supply LNG to Europe but can’t remember where. In short, the article says not gunna happen. You would need to build a brand new FLEET of LNG carriers that don’t exist yet and would take a decade to build. Who is going to finance that epic cost? You would also need to rebuild several ports as well to take such a fleet and find the money to build it. You would need several LNG carriers arriving daily (!!) to fill the gas needs of Europe. The US LNG is much more expensive than the Russian ones so Europe would have to cut their budgets to pay for the damn stuff (but the US would demand that the cuts not come from the NATO budget). I’m not going to mention what would happen if one of those carriers had an accident in port and blew up but the word Hiroshima comes to mind. To top it off, Russia has proven to be a reliable business partner but if you are depending on the US for your LNG gas supplies, well, good luck with that. These days the US tends to regard contracts and treaties as aspirational documents only. Sorry, but that is how the record reads. Yep. I very much agree with your analysis. Is the US interested on a widening rift with continental Europe? Thanks for that common sense comment. I do not know what these clowns are smoking but they need to change their brand of mushrooms. Just from an economic point of view, as you note, which would be more cost effective, gas by pipe or gas by carrier over the atlantic, ignoring the sunk costs and time of building the carriers-hint, gas by pipe. Yes. The current strategy of “keep adding crackpot countries to NATO and the EU” really should stop before it ends in disaster. A Disaster compared to which the dissolution of the EU and hard-right nationalists seizing power all over the board are mere setbacks and inconveniences. Americas goal is to destroy any competition to the US, whether in thought, expression, beliefs, spirit, music, art, farming, government or business. There can be only One and that One must be America! (The Saudi Wahhabis believe in the same thing, BTW, apart from the “America” part). One cannot enter into a contract with the US because it will not honoured, it is merely a booby-trap that will be set off when the damage will be the greatest. We are un-american, therfore un-people to be used for a time, then betrayed and discarded just like Saddam was. It is well about time that the EU grows a pair and start serving the interests of the EU population. I fear that Merkel and Macron will blow it, as missing the obvious is their nature / job, and then the doors will open for the other people. Sikorski (Appelbaum’s husband) was a big player in the Ukrainian EU association agreement that precipitated Maidan. But methinks the Blob has overreached with this pan – assault on Russia, not least because of the interconnected and intertwined Russian – EU gas companies. The Nordsteam is going ahead, the Turkish likewise, and China has made the last lap in its gas corridor to the Med. Germany is pretty mad right now, and working assiduously to woo post – sanctions Iran. If the previous doubling-down drove Russia and China into each others geopolitical arms, it seems unlikely Germany won’t follow suit – NATO occupied or not. Oligarchs will now be forced into compromise with the Kremlin, with their overseas power so severely constrained. I can imagine someone is smiling, somewhere..
Eh, Germany doesn’t really do “mad” (not since WW2, anyway). Ultimately, realpolitik is still very much a thing in Germany. The problems run deeper. Recall that Angela Merkel has been one of the strongest supporters of sanctions against Russia in the EU, even where it was not necessarily in Germany’s short term economic interests. If the US were to unilaterally impose sanctions that not only hurt Russian, but also German interests, that would undermine her domestically and make it harder for her to continue supporting sanctions. The problem here is less Nord Stream 2. Granted, the German government is unhappy with the sanctions insofar as they target Nord Stream 2, but Germany has traditionally valued its partnership with America too much for a solution to that issue to be impossible, if approached the right way. Multilateralism is part and parcel of Germany’s constitutional DNA as far as international relations are concerned, so you can generally convince them to do something for the greater good of all involved (up to a point), especially if a compromise can be negotiated. The bigger problem from the German perspective is the “America first” rhetoric surrounding the bill and the lack of consultation of America’s European partners. There is no clear attempt at a multilateral approach here, just an apparent attempt by America to go it alone and serve its own interests, as far as many German politicians are concerned. Details matter, too. For example, you can make good arguments against Nord Stream 2 regardless of sanctions (you’ll find plenty of critics of the project within the EU). But from the European perspective, there’s also the suspicion that at least part of the reason for targeting Nord Stream 2 is to remove competition for American gas exports. So, if you want to sell that to the EU, you have to convince them that clandestinely serving American interests is not the actual goal. Germany is only interested in markets for its trade surplus. Makes much more sense for it to turn East – towards China, where there is a better market for its goods (and no Trump threatening tariffs). Then there’s Russian gas – cheap and accessible , as opposed to US LNG – expensive and transport – problematic. With Britain out of the EU, US has lost quite a bit of its lobbying influence. So I don’t think you’re reading the situation accurately at all. Remains to be seen whether Germany grabs this chance or not, but the desire is certainly there. And even my unpolitical spouse, who nonetheless grew up ducking and covering under her grade school desk, is feeling the queasy willies, and asking anxious questions, about nuclear weapons and what is going on, that I have to craft careful answers to. On a local note, our “neighbors” are putting on what sounds like the start of the Tet offensive, fireworks and some gunfire, and the local cops in response to a phone call said they are not going out this national holiday celebration to enforce the law against what some Americans think of as “celebration.” My dogs are going nuts from the explosions, and bits of smoldering guts from the skyrockets and “mortar-launched display shells and aerial bombs” are drifting down on our roof and cars and garden and the shade cloth we’ve stretched over the patio. same here in New Mexico, where the temp is around 100F and humidity is 15%. and oh, it hasn’t rained in about 45 days. I called the cops twice tonite on the ICBM’s the neighbors have lit in their yards. 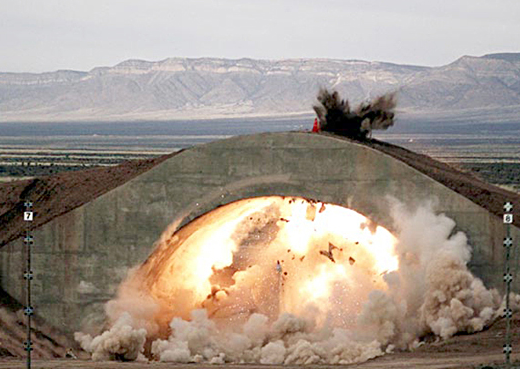 New Mexico holds dear the Second and a Half Amendment: the right to bear explosives and to set ’em off. Here in Tucson, the neighborhood pyrotechnics team launched an impressive display. Fortunately, it ended at 10 pm and then we had a silent night. will target the oligarchs’ lines of credit to international banks; the brokers, repositories and clearinghouses of their shares and bonds; their trade with the US and Europe; their US companies, bank accounts, boats on the high seas and homes abroad. If targeting the oligarchs is followed by formal sanctions, the aim will be to destroy their power at home and abroad. What about their football or basketball teams, or soccer clubs? We have to be more aggressive than they are in order to make them less aggressive. Are they less aggressive because we’re more aggressive, or are they less aggressive because our aggression will make them more passive? The US Congress gotta know. And when will the US Congress write a bill to support the American people against their own aggressive Oligarchs? I understand our oligarchs don’t like their oligarchs. On a related note, let’s say we eliminate the oligarchs in Russia. It just means somebody else in Russia will be hoovering up all the surplus that’s available there. What do you call those winners if they’re not oligarchs? Corporations and banks with better PR? More importantly, somebody that the US can do business with? Like the winners there when Russia was being led by Yeltsin? Since when, exactly, has the US been “a foreign state at war with Russia”? Exactly when did that declaration of war pass Congress? Or did Russia declare war on us? This is some pretty sloppy phrasing for a “professor of political scientist”. You’re, of course, correct: there is no state of war between the US & Russia. How do you become an oligarch? Is there a form to fill in? Yeah, the form for buying up state industries for cheap when they were being privatized. High and mighty heavy-handedness from the usual suspects here. To think, all of this – ALL OF IT – borne out of the desire to spare Clinton blushes post election. Winter is coming. We’ll see what our Western European allies have to say about US dictates on how they should go about securing their energy needs. Of course the house of Suad who claim all the oil in Saudia Arabia belongs to their family are not oligarchs and fully supported and we are quite happy for them to chop off the heads of any dissidents or rain down bombs on any neighbour who supports a different strain of islam. I am sure that somewhere in the “The Identity Politics Practical Application Handbook” the relative victimhood of the Saudis are found to be much higher than the Yemenites which makes everything they do to Yemen “A justified reaction to white racism, discrimination and imperialism”. Obviously, “She Who Must Not be Named” will add a “That will be a donation of 20 million US, Thanks!”-clause to the Progressive message before sending it on. But, that’s OK too “Because VICTIMHOOD Rulez”, “Biatch”! What is the net worth of senators signing the agreement? Looks like the only two votes against were Rand Paul and Sanders. Since the Russia hysteria seems to be easing up a bit it would be interesting to know whether this really does have a chance of passage. After all making oligarchs the pawns in an ideological war could threaten some powerful people and not just in Russia. 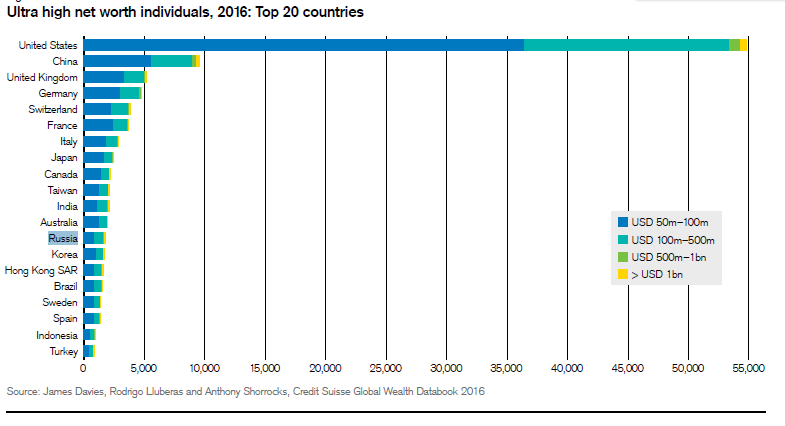 While per above Russia appears to have even greater wealth inequality than the US perhaps the difference is that here the oligarchs totally control the government whereas in Russia –with memories of the Yeltsin era–they do not. So if Russian oligarchs lack the power to remove a leader with an 80 percent approval rating then it’s hard to see how this declaration of economic war will have any greater political effect than previous sanctions. Plus the bill threatens Europe’s gas supply. Reportedly they are not pleased. Therefore one suspects that this is just grandstanding and also that so-called liberal Democrats such as Elizabeth Warren are shameful for supporting a looney bill coming from Corker of Tennessee. At any rate should be interesting to see what happens. 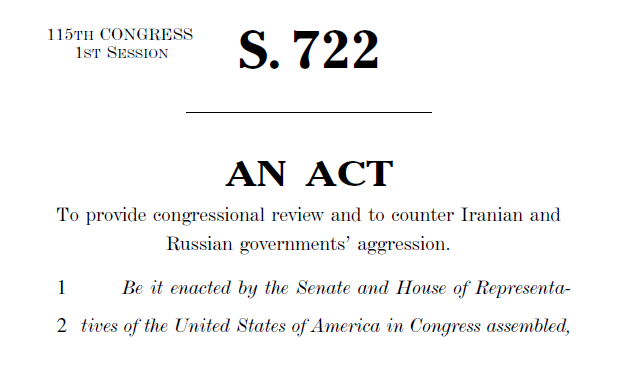 This legislation sure sounds like a precursor to a declaration of war. What kind of sanctions are to be imposed on offending international banks, oil service companies, etc., if this bill becomes law? I’d be very interested to learn of reactions to this from the Chinese elite/state. China is in a much more powerful position economically than Russia but, regardless, my hunch is that they might anticipate the same being done to them in nominal reprisal for “aggression” in the South China Sea or somesuch. Putin’s ratings are high, his foreign policy is working, and I’d guess the military is behind him. At this point an oligarch coup is a fantasy. They’ll eat the losses and wait it out, and among them I wouldn’t want to be known as one of America’s favorite Russian oligarchs. If you want to reduce the worlds population nuclear war is the best way to get it done quickly ! This is a very stupid act?